Starting as a timber procurement and forestry consulting operation in 1994, IndusTREE has grown and is now the Southeast’s premiere provider of sustainable forestry and timberland services. IndusTREE has evolved into a major supplier of every forest industry service, from seedling to finished product, and works closely with all industry entities, from landowners to loggers and from mill owners to mill customers. IndusTREE Timber delivers a complete range of timber management services, from administering all aspects of timber sales to developing custom sustainable management plans that meet landowner requirements. IndusTREE Logging has the machinery and muscle to put timber and property management plans into action, led by eight of IndusTREE’s own logging crews that are directed by IndusTREE’s staff of experienced, certified and licensed foresters. IndusTREE Manufacturing operates four efficient log processing facilities that produce key infrastructure products such as rail ties and power poles, industrial items such as pallet stock and consumer products such as premium hardwood grade lumber. IndusTREE Properties provides a wealth of services to meet timberland owner recreation and land development goals, including road, pond and bridge-building, food plots, mapping and more all integrated into a productive timber management plan. This vertical integration adds up to the IndusTREE Advantage that benefits landowners of all sizes, from small-tract individuals to some of the largest corporate timberland owners in the world. Explore our website and learn how the IndusTREE Advantage benefits you when partnering with IndusTREE. A native of Selma, Ala., Jones graduated from Auburn University with a degree in Forestry Management and a minor in Business. 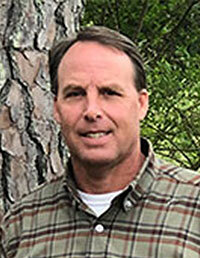 He is a registered forester in Alabama, Georgia and Mississippi, and is Professional Logger Manager Certified. Since starting the initial timber procurement and forestry consulting business in 1994 along with IndusTREE Vice President Lee Davis, Jones has guided the company through several key expansions and transitions. In the 20-plus years since starting in business, Jones has developed a vertically integrated organization that offers opportunity and added value for businesses and landowners working with IndusTREE. From Camden, Ala., Davis is an Auburn University Forestry Management graduate with a minor in Business. 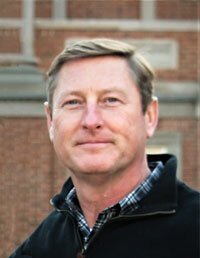 A registered Alabama forester, Davis is a former Alabama Forestry Assn. board member. As IndusTREE’s Operations Manager, Davis oversees the company’s extensive timber harvesting and hauling activities that produce more than a million tons of logs annually, delivered to dozens of regional mills and IndusTREE’s own processing facilities. An Auburn University graduate and CPA, Montgomery, Ala. native Roth manages IndusTREE’s financial activities. He has more than 20 years experience in financial management and consulting, including 12 years in energy and utility management with a national energy solutions company serving as Vice President of Operations and Director of Client Services while obtaining a Certified Energy Manager (CEM) designation. He’s also served as financial officer for a wood bioenergy project development company and worked in project development, management oversight and public accounting with regional municipal consulting and accounting firms.